Applying for Social Security can seem easy, but there are actually a great many options and choices which one works best for you requires a lot of strategizing. For instance, the longer you wait to apply for Social Security, the higher the monthly benefit you’ll receive. 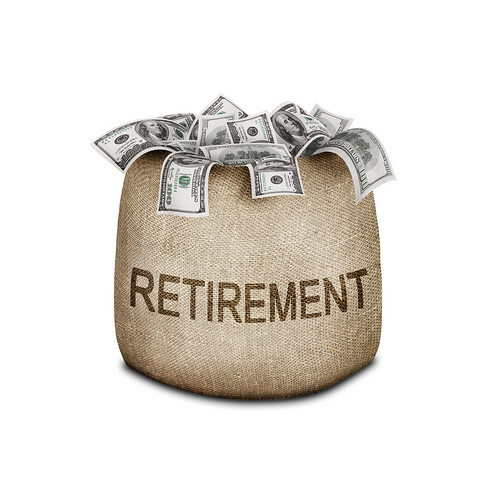 Depending on what year you were born, Social Security calculates what it considers your “full” retirement age. If you claim benefits be- fore that age, Social Security penalizes you by reducing your benefit. If you claim benefits after that age, Social Security rewards you with “delayed retirement credits” and a significantly larger benefit. So you’ll need to decide if it makes sense to apply sooner, and receive a smaller monthly check for the rest of your life, or wait and apply later, when you’ll be eligible for a larger amount. If you’re married, things get much more complicated. That’s be- cause spouses can choose to receive benefits based on their own work history or based on their spouse’s work history, or both at different times. Plus, spouses usually are of slightly different ages, so they reach “full” retirement age at different points. 1. Social Security Option: Free spousal benefits. If you’ve been married for at least 10 years, you’ve reached full retirement age, and your spouse has applied for benefits, you’re entitled to collect a “free spousal” benefit equal to 50% of the amount your spouse receives. You can collect this amount without applying for your own benefit, which means that you can build up “delayed retirement credits.” At some point, you can switch from the free spousal benefit to your own benefit, at which time your monthly amount will be considerably larger than it would have been if you’d applied for your own benefit earlier. Example: Bob and Mary have both reached their full retirement age of 66. Bob files for his monthly benefit of $2,000. Mary could file for her own monthly benefit of $900. Instead, she claims “free spousal” benefits of $1,000/month (half of Bob’s benefit). She builds up delayed retirement credits, and when she finally applies for her own ben- efit at age 70, she could receive hundreds of dollars extra per month for the rest of her life. You’re eligible for free spousal benefits only if your spouse has applied for his or her own benefits. But what if your spouse doesn’t want to apply for benefits now – because he or she wants to keep working and building up his or her own delayed retirement credits? The solution is called “file and suspend.” Your spouse files for benefits now, but “suspends” them until some point in the future. The result is that your spouse continues to build up delayed retirement credits, but he or she has “filed,” which means that you can now receive free spousal benefits. Example: Bill and Sue have both reached their full retirement age of 66. If they applied for benefits now, Sue would get $2,200/month, and Bill would get $800. Sue wants to keep working. So Sue applies for benefits now and immediately suspends them. Bill can then receive free spousal benefits of $1,100/month, and both spouses can build up delayed retirement credits until they eventually apply for their own benefits. While it may sound complicated to file for one spouse’s benefits, apply for free spousal benefits for the other spouse, and then suspend the first spouse’s benefits, it can be done in one visit to your Social Security office. Here’s a wrinkle, though: If you apply for free spousal benefits before you reach your own full retirement age, Social Security will give you those benefits or benefits based on your own work record, whichever is more. And if you receive benefits based on your own work record, you can’t continue to build up delayed retirement credits. So this strategy works best if (1) you wait until full retirement age, or (2) your free spousal benefits are larger than those based on your own work history. As you can see, choosing the best way to apply for Social Security can be very complicated. That’s why it’s smart to talk to an attorney who can advise you on the best possible strategy for your situation. Contact Attorney Kristina Vickstrom at 508-757-3800 to set up a consultation.